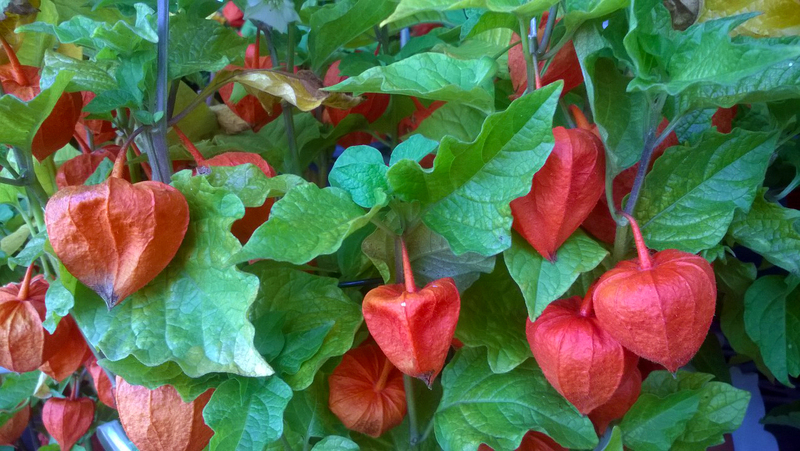 I saw this interesting (and probably) decorative plant at our local QFC and thought to myself, here is my picture 🙂 however I didn’t have my camera with me – so the phone camera would work. Year 2 – September 20, 2013 – the Punisher? 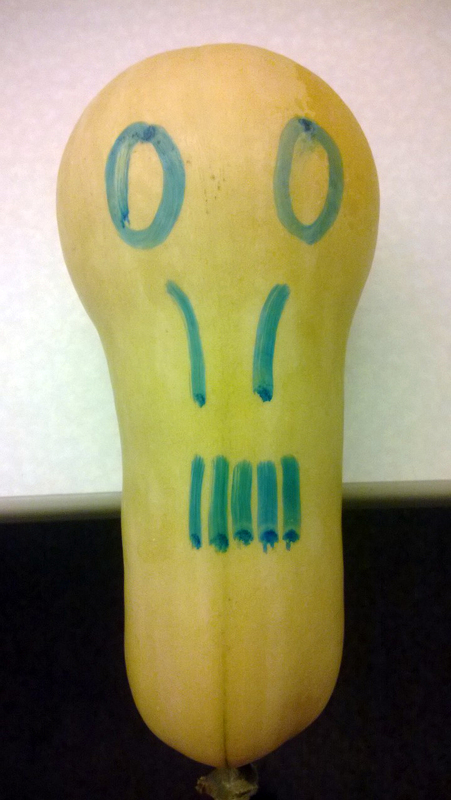 One of my coworker got this squash from the break room (as part of the “free Michigan summer produce” at the office) and I drew some faces on it to look like the Punisher. Those flowers do look beautiful.